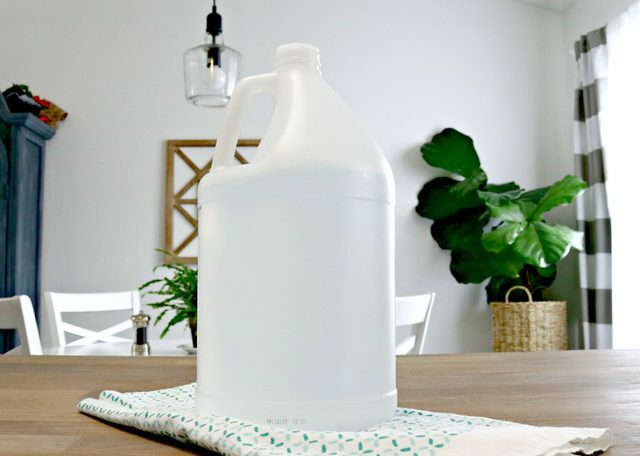 Windshield washing fluid is a necessity for any driver, and this tutorial will show you How to Make Windshield Washer Fluid with only 3 ingredients that you may already have in your pantry! This post contains affiliate links, which means if you make a purchase using one of my links, I will receive a small commission. Running out of windshield washer fluid isn’t only inconvenient, it can also be dangerous. I mean, it’s definitely convenient to have when it comes to cleaning your windshield after a bird has gone to the bathroom on your car, but it’s a true lifesaver when your car is splashed by mud or has ice forming on it while you are driving. Not having windshield cleaning fluid could mean that you have no way to clear your car’s windshield while you are driving, and that is seriously dangerous. 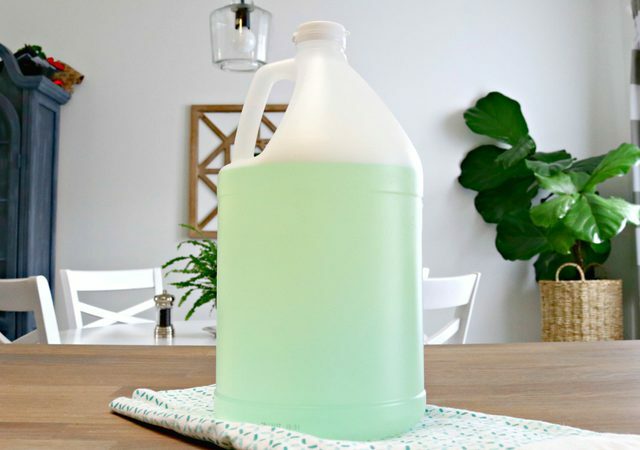 It’s also really nice to be able to make your own homemade version of windshield washing fluid for those times that you may be running low and don’t want to go to a store to buy it. What’s in Windshield Washer Fluid? 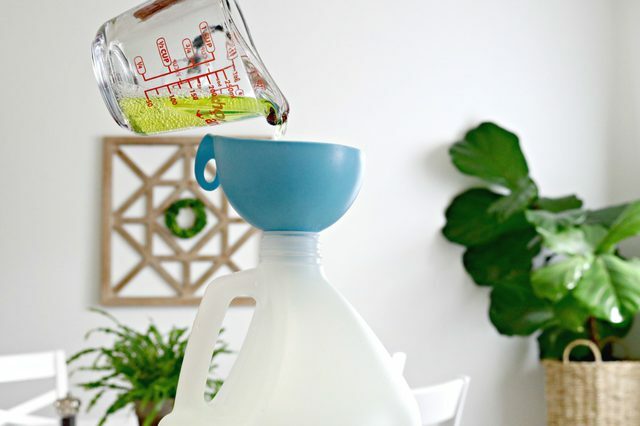 Step 1 – Fill a large jug with 1 gallon of water. 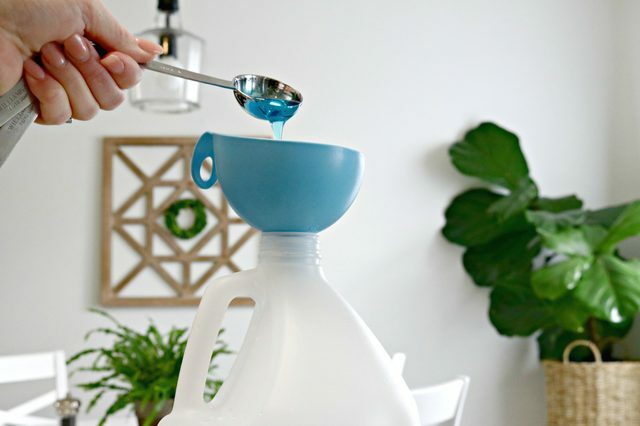 Step 2 – Add 1 tablespoon of dish liquid. 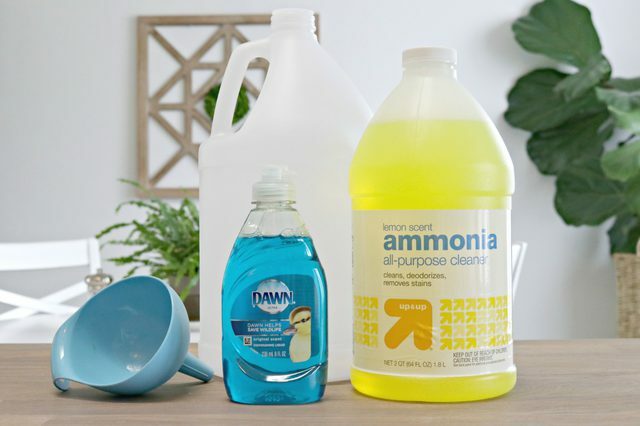 Step 3 – Add 1/2 cup of ammonia. Step 4 – Shake well and be sure to store in a place where children cannot access it. 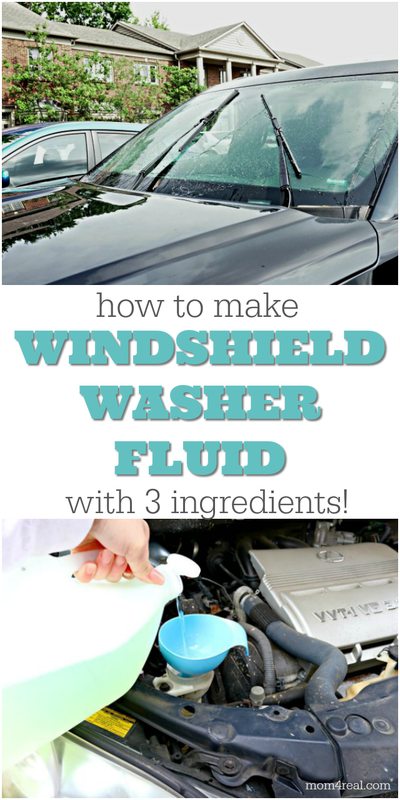 How do you add windshield washer fluid? 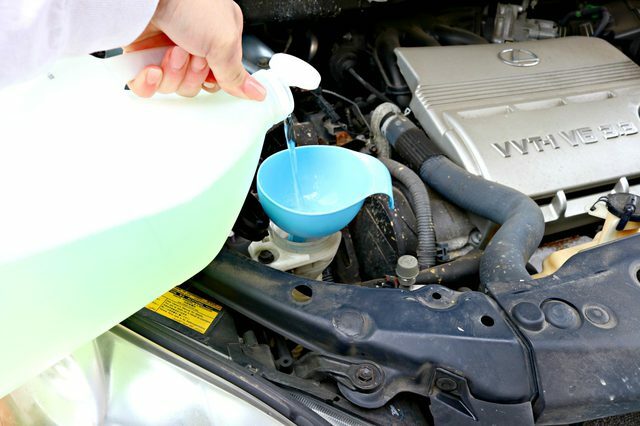 To add the windshield washer fluid to your car, you will need to open the hood of your car. There should be a button inside your car that pops the hood open. Then you may have to reach inside and feel along the front of the hood for a small latch that you can flip up with your hand. Once your hood is open, find the windshield washer fluid cap (it should be labeled) and open. Pour the windshield washer fluid in, but do not let it overflow. Once you have filled it, replace the cap and close your hood. If you cannot find your car’s windshield washer reservoir, refer to your car’s manual. ***WARNING*** Only do this when your car is cooled down. This area can be very hot and could cause you to burn yourself. You should be ready to roll! Also, if you live in a place where the climate is really cold, you can add 1 cup of isopropyl alcohol to help remove snow and ice. 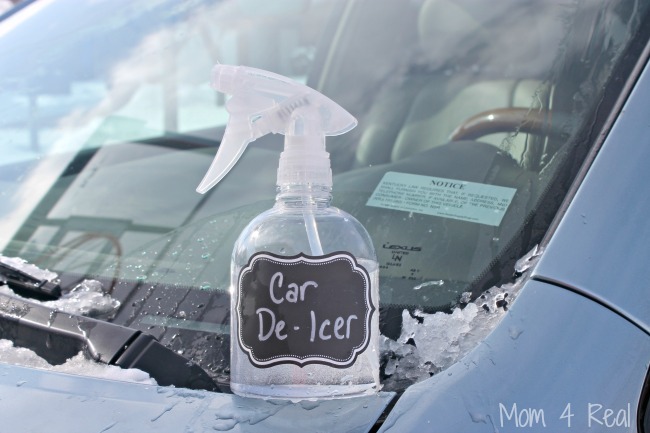 This DIY Car De-Icer Spray is a must have in the winter! 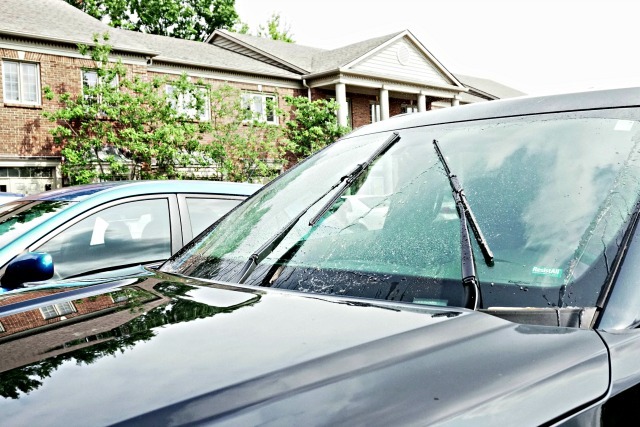 It will melt ice from your windshield, windows, wiper blades and car locks in seconds! Traveling with kiddos usually means lots of messes are going to happen. 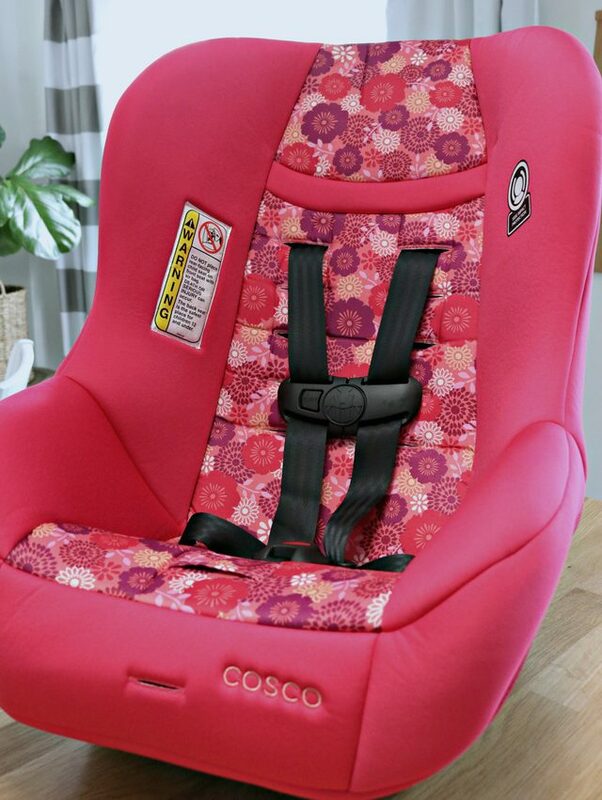 Check out my Easy Tip for Cleaning Carseats HERE! Need some easy car cleaning tips? 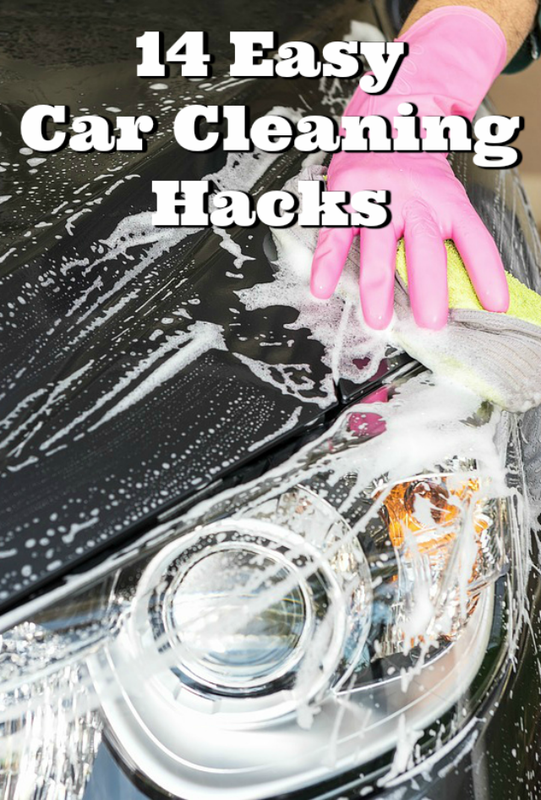 Check out These 14 Easy Car Cleaning Hacks and get your car clean from top to bottom! 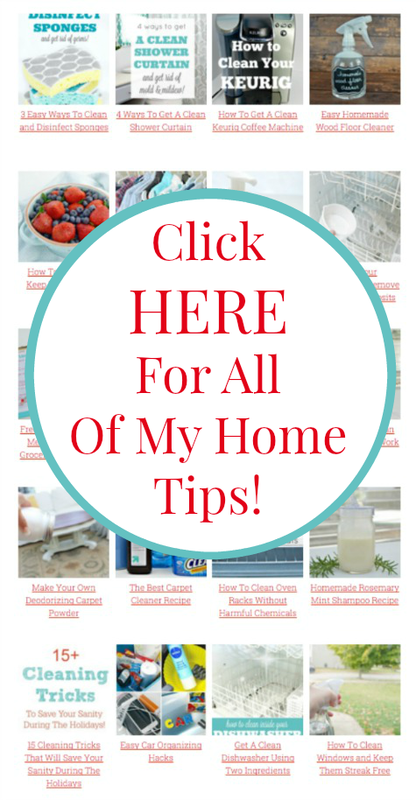 Find hundreds of Home Tips and Cleaning Tricks HERE on my Cleaning Page! Thank you so much, Sandy! That’s so sweet, you made my day! Good work lady! Thanks for sharing with your “Sister homewakers and working women”. I for one need all the help I can get, especially when it saves money, time and effort!